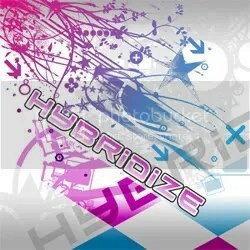 Free Tracks | Hybridize Digital – Substanced – Two Free Tracks | 03.07.11. This label is insane. Yet more free tunes. One Freeform, one Hard Trance. DJ Rx – Code Of Silence (JNKS Remix) | 26.06.11. Hybridize Digital – Two Free Tracks | 06.06.11. Hybridize Digital – Two Free Tracks | 29.05.11. Sam One – Supernova (JNKS Remix) | 22.05.11. Fulldozer – Celestea | 15.05.11. Horzi – Blind Faith | 01.05.11. Epyx & Cyrez – Risk Addiction (Substanced Remix) | 14.04.11. This entry was posted in Free Tracks, Track Releases, YouTube Videos and tagged FINRG Recordings, Freeform, Hard Trance, Hybridize Digital, Substanced. Bookmark the permalink. Free Track | Alek Száhala – Ziggurat | 30.06.11.